We convert management vision into sustainable solutions, using a tried and tested top-down approach. Although each client’s needs are unique, our teams add considerable value through long industry experience, whilst tailoring our proven methodology to ensure each project is delivered on time and on budget. At all times, we maintain a pragmatic focus on meeting your needs. Axxsys can deliver projects from inception to completion. Clients who use our consultancy group can attain their strategic objectives while only having to deal with one organisation, from initial project scoping and business analysis all the way through to project management, installation, implementation and training. Our effectiveness derives from a combination of in-depth business know-how, technological expertise, our unique AxxeleratorTM platform and, of course, our people. 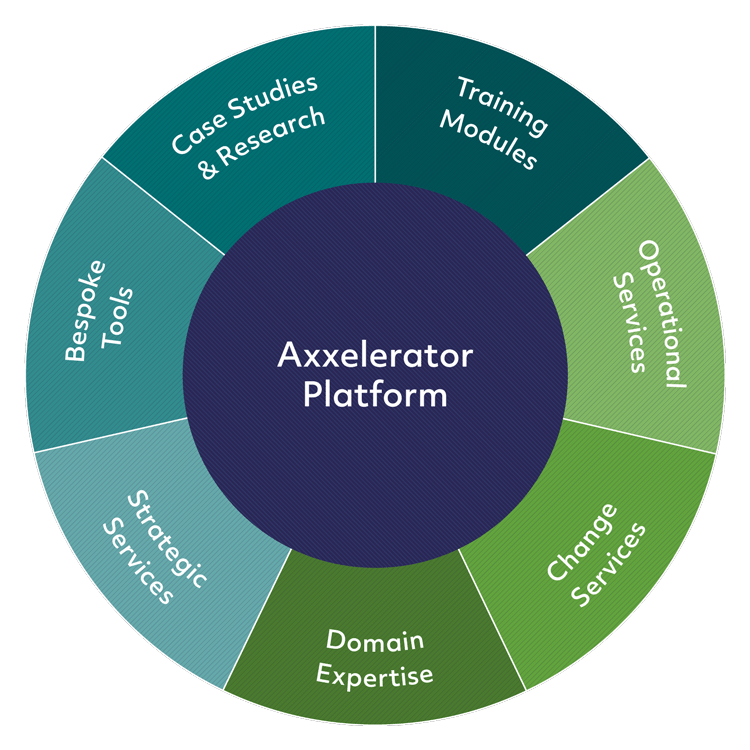 Axxsys Axxelerators™ are designed to fast-track the development of Target Operating Models, Business Processes & Analysis, Standard Technology Package Implementations and Project Delivery Frameworks. A comprehensive range of services is available across our three main competency areas, Strategy, Transformation and Operations. Services include Business Integration, Organisational Design, Technology Integration, Data Management, Portfolio Management, CRM Sales & Distribution and Client Reporting.